Okay. This book was freaking amazing, and I loved every second of it. I started reading the book the day it came out (March 8th) in preparation for the Cassandra Clare signing that I went to. I got 65%ish through the book before then, and almost started crying whilst waiting in line for the signing. I mean, of course I was reading in line. Duh. Seriously, though. 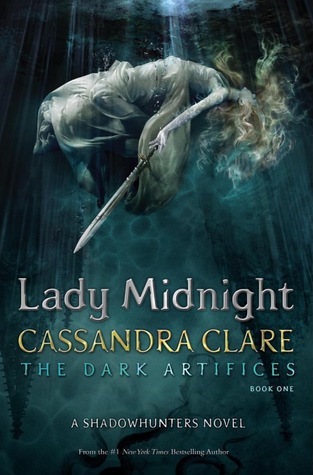 Cassandra Clare has outdone herself yet again. I loved this book so much because we got introduced to a new cast of Cassie characters! It has been so long since I’ve had new and fresh faces in The Mortal Instruments world, and it was beautiful. Julian and Emma. My gosh. I just cannot even express how much I love them and loved the development throughout the course of the book holy goodness. Julian being the father figure to his younger siblings was something we hadn’t experienced in a Cassandra Clare book, and it was a nice change from the somewhat hard and sassy main male characters we’ve had. I love them just the same still, but it was a nice change of scenery per say. So we all read a tiny bit about these characters at the end of City of Heavenly Fire, but the eldest children were 12. Now they’re 17, and things have changed and wonderful and beautifully heartbreaking things have happened. The parabatai bond makes it “impossible” to fall in love with the other of the bond. “Impossible” meaning that it should never be done unless you want to burn in hell with demons, but we’ve never known why until Jem comes along and lets all the info spill to Emma. I just want things to be perfect and wonderful, but they’re perfectly broken and not knowing what to do and I just can’t. The one thing that I hated *and loved, but shouldn’t have actually been in the context of the story. It was beautifully written, and I liked reading it, but it was unrealistic* was the beach scene. Now. If you’ve read this book you understand my feelings towards it. I thought that it was a great scene, but why? They knew that they shouldn’t have, they’ve not even let themselves kiss before sooooooooo. Whatever. If that was the only downfall to this book I think we’re in good shape. I CAN’T WAIT FOR THE NEXT BOOKS AND I DON’T UNDERSTAND HOW I CAN POSSIBLY BE OKAY FOR ANOTHER FULL YEAR OH EM GEE. Tell me your thoughts without being super spoilery in the comments, or email me at aubreyjoy99@gmail.com to tell me about the spoilers you loved and can’t keep to yourself!